Once the Commission decides to investigate a case, it will start collecting further information, either through its formal powers of investigation under Article 18 of Regulation 1/2003 (the so called “Requests of Information”), or through an unannounced inspection or “dawn raid”. The Commission can conduct a dawn raid under an “authorization” or under a “formal decision”. A firm may refuse to submit to an inspection for an authorization. Such refusal, however, might result in future fines and the adoption of a formal decision by the Commission, this time imposing a duty to co-operate on the firm. During a dawn raid, the Commission may, among other things: (i) enter the premises of the company being inspected, (ii) examine the records related to the business, (iii) take copies of those records, (iv) seal the business premises and records during an inspection (and if broken, impose fines), and (v) ask staff members or company representatives questions about the subject matter and purpose of the inspection and record the answers. Commission officials are usually assisted by officials from the relevant national competition authorities. If the Commission’s investigation confirms the competition concerns, the regulator will prepare and address a written statement of objections (SO) to the parties. At this point, the parties have certain defenses: First, they are entitled to have access to the file, so they can see all non-confidential documents from the Commission’s investigation. Second, the parties are entitled to respond to the SO, both in writing and at an oral hearing., The oral hearing is conducted by an independent Hearing Officer. 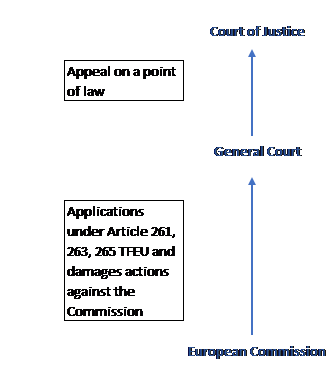 The Commission may then: (i) abandon its investigation and close the case if there is insufficient evidence, (ii); adopt a commitment decision under Article 9 of Regulation 1/2003, by which the Commission does not have to conclude on the existence of an infringement of the antitrust rules, imposing no fines; or (iii) draft a prohibition decision under Article 7 of Regulation 1/2003, which is submitted first to the Advisory Committee composed of representatives of the Member States’ competition authorities, and finally to the College of Commissioners, which adopts the decision. A company that has infringed EU antitrust laws (prong (iii) above) is subject to fines. The fines imposed by the Commission reflect the gravity and duration of the infringement. They are calculated under the framework of the 2006 Guidelines. If you want to know more about how the Commission calculates antitrust fines, please see here. The addressees of a Commission decision have the right to appeal to the EU General Court in Luxembourg. First, in the context of unlimited jurisdiction for matters of fact and law, under Article 261 TFEU and Article 31 of Regulation 1/2003, the General Court has the power to assess the amount of fines imposed by the Commission. Second, under Article 263 TFUE, the General Court may review the legality of those decisions limited to four grounds of annulment: (i) lack of competence, (ii) infringement of an essential procedural requirement, (iii) infringement of the TFEU or of any rule of law related to its application, and (iv) misuse of powers. On May 2009, the Commission fined Intel, a US microchip manufacturer, with €1.06 billion for abuse of its dominant position in the market for central processing units (“CPUs”). The Commission concluded that Intel (i) granted unlawful exclusivity rebates to four computer manufacturers: Dell, HP, NEC and Lenovo on the condition they would purchase all (or almost all) of their CPUs from Intel, and (ii) made payments to retailer Media Saturn Holding, also on the condition it would only sell computers containing Intel’s CPUs. In all cases, the rebates were conditioned on exclusivity or quasi-exclusivity, either for all customer purchases, or for certain types of products. As a general comment, exclusivity, fidelity or loyalty rebates are those conditional upon a purchaser buying all (or almost all) the products it needs from a dominant supplier. According to previous EU case law, such rebates have been characterized by their very nature as abusive, regardless of the circumstances around them, or whether they are capable to restrict competition and foreclose competitors from the market. By contrast, quantity rebates, exclusively linked to the volume of purchases from the producer concerned, are presumed to be valid and not abusive. 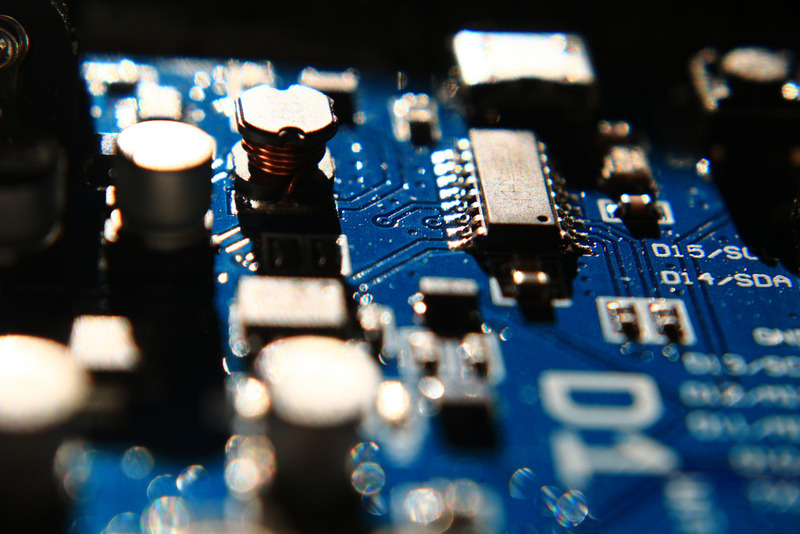 Intel challenged the Commission’s decision, arguing that not all exclusivity rebates provided by dominant undertakings must be prohibited. Instead, Intel’s argument suggests the Commission to analyze them on a case-by-case basis to determine whether they restrict competition and foreclose competitors in the market that are just as efficient. On June 2014, the General Court dismissed Intel’s appeal, upholding the Commission’s legal characterization of the abusive conduct. The General Court stated that Intel’s exclusivity rebates were unlawful by their very nature, and there was no need for the Commission to examine all relevant circumstances. On September 2017, the CJEU set aside the General Court’s judgment, and referred the case back to the General Court. The CJEU ruled that exclusive or quasi-exclusive arrangements may be deemed lawful if the dominant company can demonstrate that (1) such agreements are not capable of foreclosing competitors that are as efficient as the dominant company, or (2) the foreclosure effect is outweighed by objective justifications. Regardless of the circumstances of the case, under EU law, a dominant company has a special responsibility not to distort genuine competition, and there is a presumption of illegality when a dominant company enters into exclusivity agreements. Therefore, an obligation or promise from a customer to obtain all, or most of their requirements exclusively from that undertaking, is prima facie abusive, and contrary to Article 102 TFEU. But the court further states that if the undertaking argues—on the basis of supporting evidence—that its conduct was not capable of restricting competition, the Commission must analyze the capacity of the rebate to foreclose as efficient competitors from the market. To this end, the Court provides a non-exhaustive list of elements that the Commission is required to analyze: (i) the extent of the undertaking’s dominant position on the relevant market, (ii) the share of the market covered by the challenged practice, (iii) the conditions and arrangements for granting the rebates, including duration and amount, and (iv) the possible existence of a strategy aiming to exclude competitors that are at least as efficient as the dominant undertaking from the market. The analysis of the capacity to foreclose is also relevant in assessing prong (2) above: whether a system of rebates which, in principle, might fall within the scope of the prohibition laid down in Article 102 TFEU, is nevertheless objectively justified. The Court also confirmed the relevance of the application of the “as efficient competitor test” or “AEC Test” included in the Commission’s Article 102 Guidance Paper to assess the capacity of rebate cases, based on exclusive or quasi exclusive arrangements, to foreclose as efficient competitors and restrict competition. The AEC test focuses on whether the dominant company’s conduct is likely to prevent competitors that are as efficient as the dominant undertaking from expanding or entering the relevant market. The Court had previously applied the test in anticompetitive pricing cases by dominant undertakings, such as Deutsche Telekom, TeliaSonera and Danmark I. Now it also confirms its application in the context of rebates with a foreclosure effect.